Like most Android tablets, Surface Pro 3 also can’t play iTunes videos. It’s not the bug of Windows devices. iTunes movies and TV shows are protected by Apple’s “FairPlay” DRM protection, the Microsoft Surface have no permission to access them, only Apple products can play iTunes videos smoothly. If you’re going travel in the following week and plan to take some iTunes movies in Surface Pro 3 for watching on the go, here’s a guide telling you how to download, install, get rid of DRM, convert and move iTunes movie to Surface Pro 3 playable video. With the best DRM Media Converter, you can also legally bypass digital copyright protection from M4V, WMV and ASF video downloaded or purchased from Amazon Instant Video, Windows Media Centre, Zune Marketplace, BBC iPlayer, Xbox Live Store, Limewire, uTorrent, FrostWire and more. After that, you can play your video anywhere you like without any hassle. iTunes uses “Fairplay” and Windows Media uses “Plays for Sure” DRM system. This is a universal DRM removal software for both systems mentioned. Possesses a DRM media converter, integrated and powerful to not only convert audio to audio but also video to audio and video-to-video. After automatically detecting a DRM protected file, it proceeds to convert by using a multi-thread intelligent parallel conversion system which saves time. Not only does it convert at a superfast 10X speed, but also possesses Hi-Fi with ID3 well reserved. Provides online after service, a 24-hour tech-support all days of the week and self-upgradability for lifetime. Click to purchase the app or download a trial from here. Now you’re ready to remove DRM from iTunes movies/audio/songs and convert iTunes files to Surface 2/Pro 2 tablet playable videos. First you need install iTunes on your Surface Pro 3. On Surface Pro 3 windows tablet, you can install iTunes program through the Internet Explorer, or you can transfer the iTunes installer file from USB Flash Drive or pendrive to the Surface Pro 3 tablet via USB. 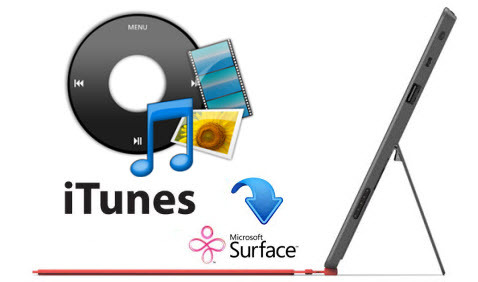 Below are the easy steps for you to download and install iTunes on Surface Pro 3. 1. 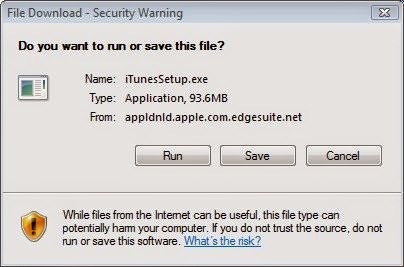 Open your Internet explorer on your Surface Pro 3, download iTunes from http://www.apple.com/iTunes/download/, you will see a file download window appear after you clicked the download now button, the file download window will ask you to run or save the iTunes installer file. 2. Please install iTunes on Surface Pro 3 according to the steps that iTunes installer shows. When it finished, please plug a USB flash drive into your original computer and go to your iTunes music folder or movie folder and you will see a sub-folder labeled “iTunes”, please copy that folder to the USB flash drive and then copy the folder onto Surface Pro 3. How to remove DRM and convert iTunes videos to Microsoft Surface Pro 3 Tablet? Step 1. Load your DRMed iTunes movie. Just drag-and-drop the files you want directly from your desktop into the main window and remember, you can import multiple files at once thanks to batch conversion. 1. From the “General” tab, specify your preferred destination folder for saving output files. 2. From the “DRM Finder” tab, customize search parameters for the DRM Finder tool. 3. From the “Processing” tab, set the program to perform up to five parallel conversions. Step 2. Select output file format for Surface Pro 3. 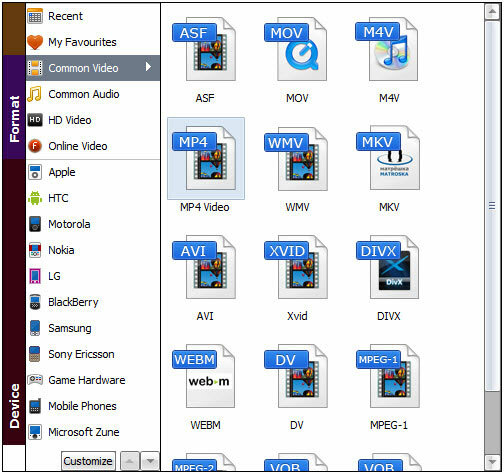 Click “Video files to” drop-down menu to open the conversion profile panel, then select “MP4 video” from “Common video” option or “MP4” from “HD video option” as output format for converting DRMed iTunes video to Surface Tablets. If the source file is the DRMed iTunes audio, just click “Audio files to” drop-down menu and select “MP3” from “Common audio” option as output format. In addition, you can click “Settings” button and enter the “Settings” panel to change output parameters like Resolution, Encoder, Bit Rate, etc to control the output file’s quality for your Surface tablets. Step 3. Start the iTunes conversion task. Now, if you are satisfied with all the settings, just click the “Start” button located at the bottom of the software’s main screen to start the iTunes to Surface Pro 3 conversion task. After a few minutes or hours, the iTunes DRM Converter will help you create the plain, Surface Pro 3 playable MP4 or MP3 files for you. Now sit back and enjoy your newly freed iTunes music and movie files on your Surface Pro 3. Add files to OneDrive so you can access them from Surface Pro 3. Connect to a networked computer. Use a USB flash drive or a memory card—microSD, microSDHC or microSDXC cards all work with Surface Pro 3. Click microsoft.com to get the detailed steps on How to local move files to Surface Pro 3. For a long time i bought iTunes videos and simply watched them on my computer. But when I bought a Surface Pro 3, I wanted to watch there too but found it impossible to do so. Then I heard about the DRM Media converter that lets you strip DRM protection and convert to any format you want. What a lifesaver! I read a lot of reviews before I decided to purchase this product for playing iTunes content on my Surface Pro 3 and Galaxy S6, all were positive reviews. I am very impressed with the way the program performed. No other media converter can come close to this product. This product works and does exactly as it says in the description.! It’s very user friendly. Conversion process is accurate. Quiet, efficient, and intelligent is the only way I can describe it, and on top of that, the price is right! Every penny I paid for this product was worth it. I’m a happy man..
the article are extremely helpful. It works perfectly on my large collections of iTunes movies and TV shows! Really appreciate the opportunity to convert iTunes M4V files to play on my Surface Pro 3. I had some trouble with that before but that situation is resolved as now all my downloaded itunes files are compatible with my other devices. I’m able to play on the Surface Pro 3, PS3, Hudl 2 or any other device that I might buy or use as the DRM protection is now gone. Love the easy conversion process. Really appreciate the opportunity to convert iTunes files to play on my Surface Pro 2. I had some trouble with that before but that situation is resolved as now all my downloaded itunes files are compatible with my other devices. I’m able to play on the Surface Pro 3, Hudl or Galaxy Note 4 or any other device that I might buy or use as the DRM protection is now gone. Love the easy conversion process.